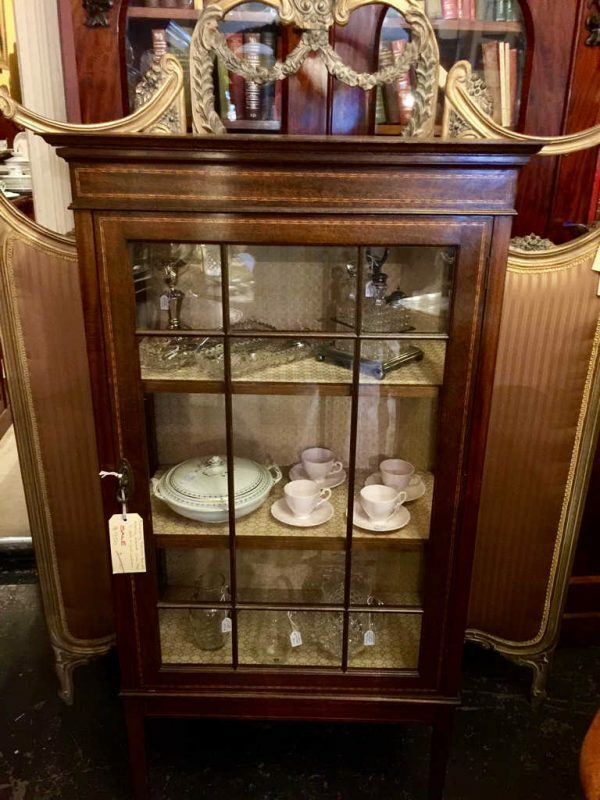 Antique display cabinet in the Sheraton revival style. Circa 1900. Good original condition in mahogany with satinwood inlay. Elegant simple design.